THE ONLY WAY IS ST HELENS THIS CHRISTMAS TIME!!! THE ONLY WAY IS ST HELENS! Regal Entertainments Ltd is excited to announce its all-star cast for its Christmas pantomime Aladdin at St Helens Theatre Royal for 2016. 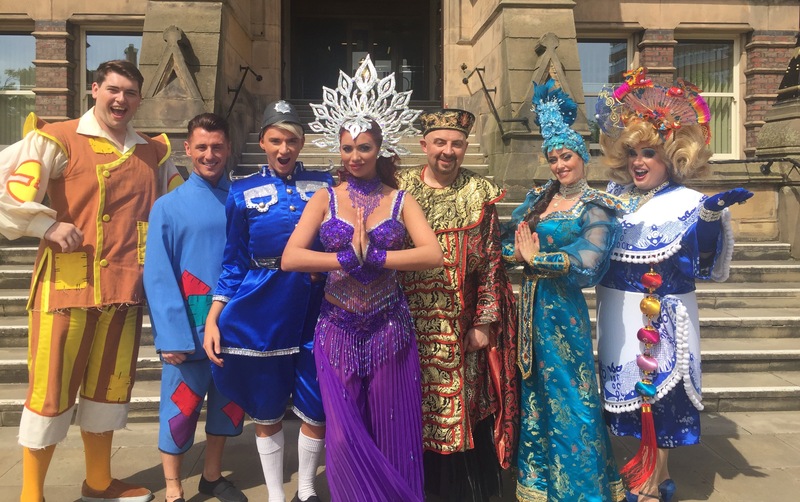 The Only Way is Essex stars Amy Childs and Harry Derbridge will be swapping the streets of Brentwood to tread the boards at St Helens Theatre Royal when they will appear in Aladdin from Saturday, 3rd December 2016 to Sunday, 8th January 2017. Gorgeous redhead Amy Childs will star as the Slave of the Ring in the magical family pantomime while Harry Derbridge will play the hilarious PC Noddle. Amy shot to fame in 2010 with ITV2’s British BAFTA award-winning reality show The Only Way Is Essex or TOWIE as it is now known. A trained beautician, she ran her own beauty salon in Brentwood as well as launching her own fashion line ‘Amy Childs Collection.’ She went on to present weekly fashion slots on ITV1’s This Morning as well as appearing on Channel 5’s Big Brother and having her own reality show It’s All About Amy. No doubt she will bring plenty of dazzling beauty and glamour to the St Helens stage in her role as the Slave of the Ring. Meanwhile, catchphrase king Harry Derbidge rose to fame in TOWIE, joining his popular cousin Amy Childs on the show. The young, spritely blonde instantly melted the nation’s hearts with his kind and affectionate personality and he is sure to win many hearts in St Helens with his hilarious antics – no doubt he will be swapping the famous Aladdin line “Open Sesame” for the TOWIE catchphrase “SHUT UP” doing the panto! The stylish Harry hugely enjoys keeping on top of current fashion trends and is often praised for his chic sense of style. Since leaving TOWIE, Harry has started his own website ‘Forever on Trend’ selling various (as you would expect) ‘on-trend’ sunglasses. Amy and Harry will be joined on stage by David Heath who will play street rat Aladdin, Olivia Sloyan as the beautiful Princess Jasmine, Warren Donnolly as the evil Abanazer and Josh Bennett as the Genie of the Lamp, as well as St Helens Theatre Royal panto favourites Ben Engelen as Wishie Washie and Simon Foster as Widow Twankey. St Helens Theatre Royal invites you on a magical carpet ride this Christmas time when the amazing panto Aladdin swoops into the theatre to take audiences on another sparkling adventure. So make sure that you’ve booked your place in the cave of wonders, and get ready to shout “Open Sesame” during a fun-filled evening of enchantment, hilarious comedy, wonderful songs and a story which would make even the evil Abanazar’s heart melt. 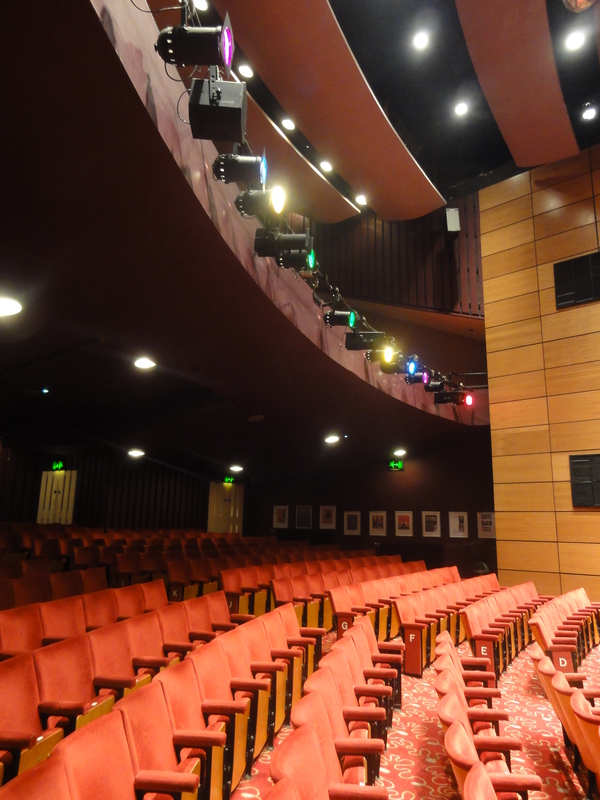 The Theatre also gives people the chance to enjoy pantomime in a supportive and less formal atmosphere specially designed for audiences with an Autism Spectrum Condition, sensory and communication disorders, or a learning disability. So make sure you book your tickets now for the most enchanting panto in the land – cause you’ll be WELL JELL if you miss it!! !